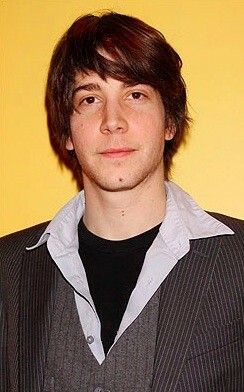 David Gelles is Tommy, a typical teen. A nice boy who is trying to get himself together. Mom, Dad and Tommy acting for Gabby. Mom and Dad turn out to be superheroes. Stephanie Hau is a cat for the ages. Curran Connor (Buck), David Gelles (Tommy), Ariella Goldman (Gabby), Stephanie Hau (Marie Antoinette), Polly Lee (Lilly), Florencia Lozano (Mabel), Grant Shaud (Brian), Scott Sowers (Bill). 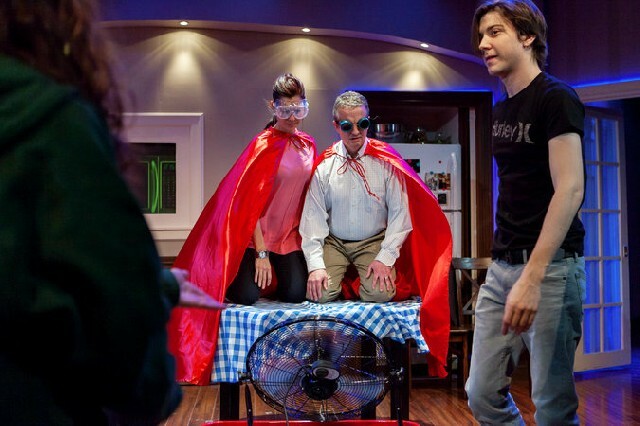 Jason Simms (Scenic Design), Syndney Maresca (Costumes), Seh Reiser (Lighting), M. Florian Staab (Sound). 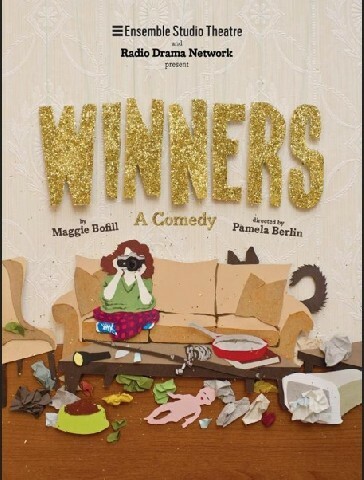 Winners is billed as a comedy and it is indeed funny, because its core truths are so real and so seldom put on stage. The animal characters rival A.J.Gurney’s Sylvia in their entrancement. What dog owner has not had their underpants stolen for a good sniff? Curran Connor (dog) tumbles, attacks the garbage pail (which is a driving character in its own way) and snuggles with the kids of the house as they squeeze into a single bed to ward off danger. 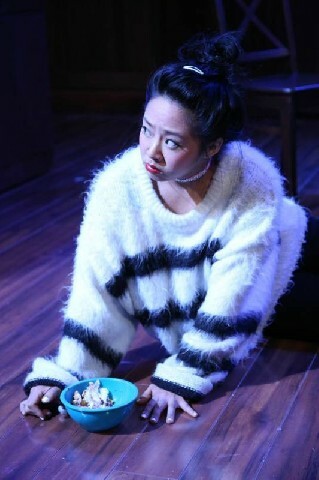 Stephanie Hau as the family cat Marie Antoinette is a peril to flies. More accurately one fly which is stuck in a window between the pane and the screen. Driven crazy by the teasing buzz, Marie Antoinette is finally victorious. The show will show you how. Hau must have studied the movement’s of cats endlessly, because she can create a pounce, stalk and hump back with ease. Pamela Berlin has directed her and all the members of the cast into a stunning group performance. The cat is a winner, but so is every member of the family. Brian, brilliantly played by Grant Shaud, finds himself again in the stock room of the Gap. He can leave the house to work, and finally defend his son’s sense of the world. This could well get him fired, but it is more important to do the right thing: not a message we hear so often today. David Gelles gives a nice boy who is after all a teen, new dimensions, as his own stalking turns into the rescue of a girl who is being sexually abused. As his sister Gabby, Arielle Goldman is an enhanced Harriet the Spy. Like today’s Facebook crowd, she photographs all the evidence: a surreptitious text message, the non-stick pan, offending hand cleaner and so on. Gabby is writing a play within a play for a Christmas pageant. She chooses Herod’s Murder of the Innocents as her theme. In the play’s final twists, the innocents are saved. The play is constructed as a series of vignettes. Frequent set changes which required much physical action seemed mistaken at first. But on reflection, in a play which is perfectly produced, the uncomfortable feeling the 'busyness' produces may be exactly what the playwright intended. The set moves more than the actors intentionally. The discomfort of "stuff" which fills in for substance is emotionally conveyed by furniture in motion. Since the point of the play is that material props set the outline of our moral values-- the meaningless repositioning of stuff-- like Gabby's bag full of swiped 'evidence', is discomforting because it does exist outside of the self. Winners is terrific evening of theater.